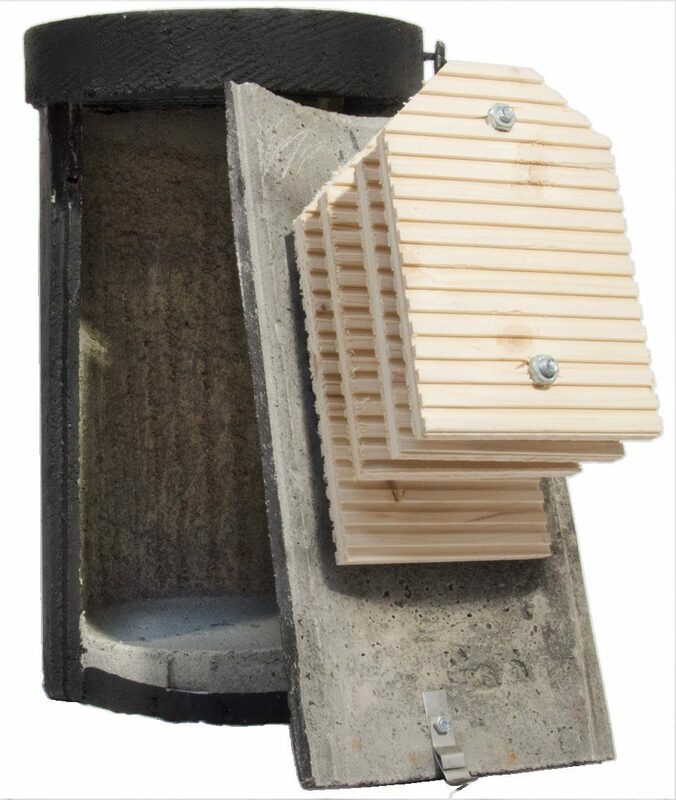 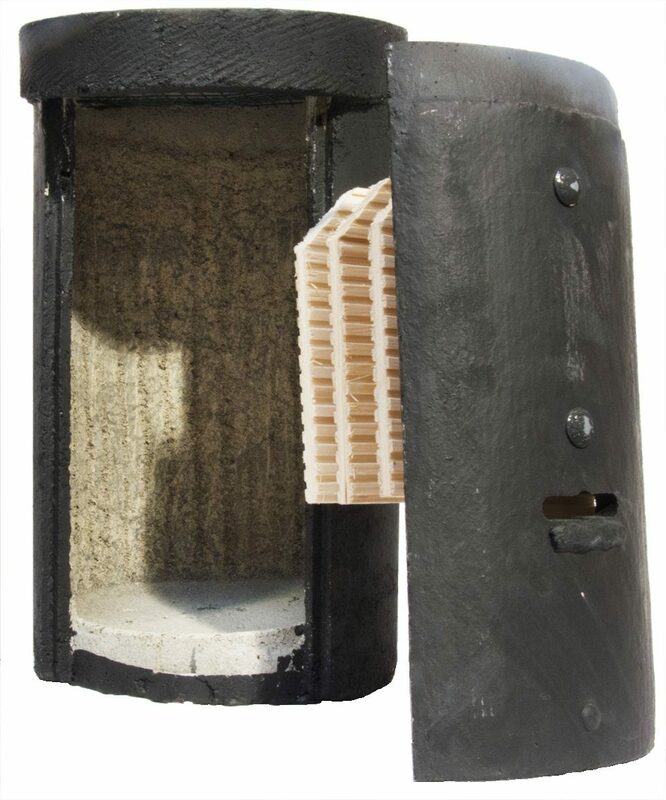 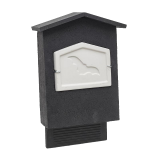 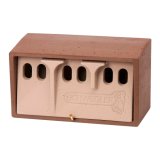 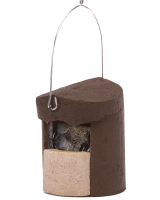 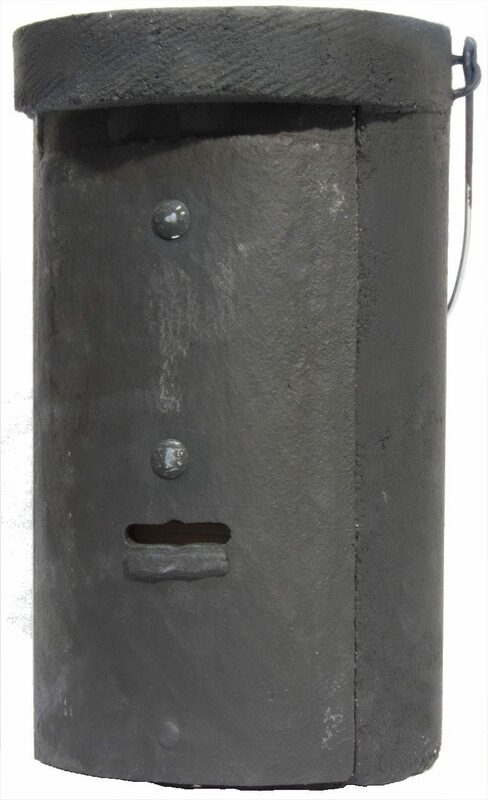 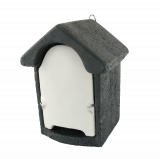 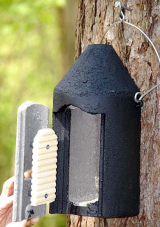 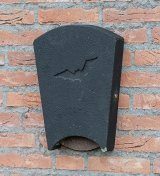 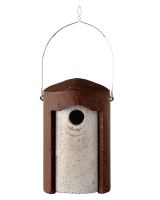 The 2FS Bat Colony Box is constructed from long lasting Woodcrete and is designed for smaller species of bats. 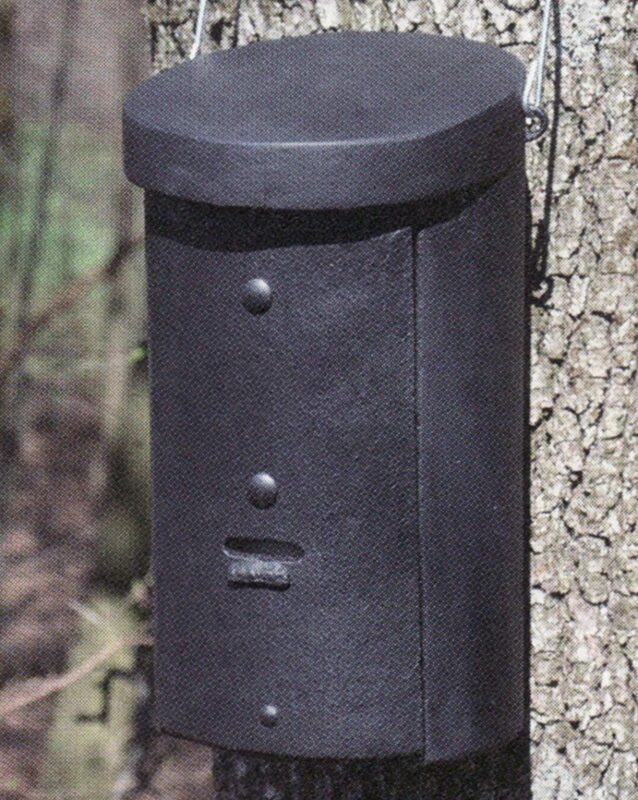 The narrow entrance prevents birds, dormice, mice and larger species of bat from accessing the box. 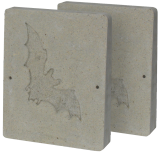 The box contains four wooden panels providing a large amount of roosting space, allowing for groups of small crevice dwelling bats to rear their young in large groups.